Feminism (noun): the advocacy of women’s rights on the ground of the equality of the sexes. When I first learned the definition of feminism a few years ago, I hastened to label myself a feminist, because stating otherwise just didn’t make sense. As a young woman, I felt that not striving for gender equality was not only a betrayal of my womanhood, but a betrayal to the millions of women and girls around the globe who face insurmountable trials and tribulations on a daily basis due to the paucity of gender equality within their homes, communities, workplaces, and schools. As a Muslim woman, I am always seeking ways to strengthen my faith and relationship with Allah (SWT), and attempt to incorporate the teachings of Islam in my everyday life. Therefore, it wasn’t up until about a couple of years ago that I began to really think about how feminism and gender equality relate to Islam. And so, I began my search for answers to the questions that plagued my thoughts. One of the most fundamental principles in Islam is that there is no disparity in worth from one human being to another, regardless of race, gender, or the social constructs that divide us, and that before the Almighty (SWT), we are all judged equally. Initially, this cleared up any questions I had about gender equality in Islam, and I felt that I could begin to call myself a feminist. Yet, it was easier said than done. For some reason, I still wasn’t comfortable enough with saying those words: “I’m a feminist.” I would be lying if I said that I didn’t feel guilty, because the way I saw it, how could I be a young woman and not be a feminist? It came down to the fact that I didn’t feel like my knowledge on the relationship between women’s rights and Islam was up to par. Islam has undoubtedly placed women on a high pedestal, and it has been highlighted numerous times in the Qur’an and in Hadiths that women and girls deserve the utmost respect. Before Islam, the sickening practice of burying female infants alive was commonplace, because even the thought of having a daughter was something to be ashamed of. This practice was vehemently prohibited when Islam was revealed. Moreover, Islam emphasized that rudimentary human rights are inclusive to both genders at a time where women and girls were treated like objects. Islam recognizes the right women have to vote, the right they have to receive an education, the right to own property, the right to be leaders and be politically active, the right to have a career and use their income whichever way they see fit. Islam is, unequivocally, no stranger to women’s rights, and as my research progressed, my understanding of the relationship between my faith and the innate rights of women and girls deepened. This only heightened my conflicted feelings towards the gender equality conversation, because gender equity made sense too. If gender equality is defined as equal access to rights, opportunities and resources irrespective of gender, and gender equity is defined as fairness of treatment that equates to equal rights and opportunities, then weren’t they the same thing? My understanding is that at the end of the day, both gender equality and gender equity strive to accomplish the same end goal; equal rights. If gender equality is our destination, then perhaps gender equity is the road to get there. That being said, I do feel like within the Muslim community, there are a number of Muslims who prefer the term gender equity over gender equality. Personally, I think it’s because of what the word equality implies; that men and women are the same in all aspects, when in reality, it’s about allowing all human beings to enjoy fundamental, human rights. Therefore, I think that tackling this misunderstanding is of paramount importance if gender equality is to be understood wholly. 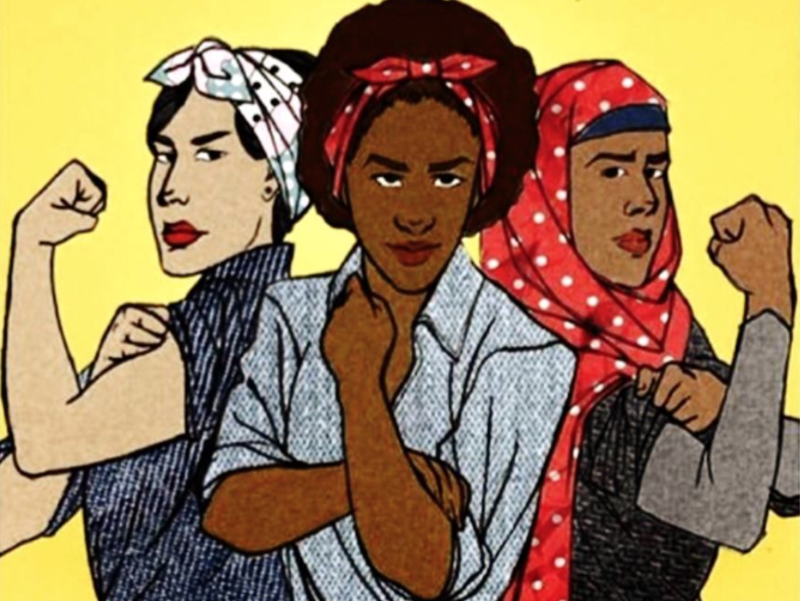 We live in a time where the feminist movement is evolving rapidly, and the word feminism has almost become an ambiguous term, because everyone has their own interpretation of what feminism means and who a feminist should be. What feminism means to one person, may not be what it means to the next. That is why I believe that I, along with other members of the Muslim community, have such a hard time with labelling ourselves as feminists, as our reasons for being feminists may be misperceived. Hence, I have personally found solace in seeking and understanding feminism within my faith, and I think many Muslims who have struggled with the topic of feminism, like I have, can relate. The Qur’an not only highlights spiritual equality between the sexes, but it also reiterates the significance of affording women their elementary, intrinsic rights. Many a time, words from the Qur’an are misconstrued by both Muslims and non-Muslims alike. This has served to instigate countless debates on various topics, one of which is gender equality. Thus, I feel the need to stress that the Qur’an does not state that one gender is superior to the other, but rather the only way one can be seen as superior over another individual is through spirituality and morality. Throughout the years, within many predominantly Muslim societies, culture has become interchangeable with religion. This has led to dissensions on a variety of subject matters, women’s rights being one of them. Culture and religion are not homogeneous, yet society tends to mask culture with religion. All this does is confuse and mislead members the community. With regards to women’s rights specifically, I feel that maybe certain cultures within the Muslim community endorse outdated ideals of the paradigm of conventional femininity and masculinity, and that is passed on to individuals within the society as Islam, when it’s not. Once culture and religion are seen as two separate entities, then maybe it won’t be as difficult for Muslims to contribute to the conversation on gender equality, gender equity, and feminism. I am proud to be a Muslim woman, because my religion is one that champions women’s rights. My religion teaches us to respect women and girls, to not discriminate and violate according to gender. I most certainly haven’t become an expert on feminism, but education and knowledge can go a long way. And so, I continue to seek a better comprehension on the connection between Islam, gender equality, gender equity, and feminism. I’ve learned that it’s okay not to have all the answers. Moreover, I have come to the conclusion that perhaps, all this time, I have been too concerned with the label “feminist” itself, rather than what it implies. What I do know, is that I will continue to endeavor that all women and girls are afforded the opportunity to enjoy their inborn rights. I will continue to raise my voice against gender-based discrimination and gender-based violence. And I will stand in solidarity with my sisters who do the same.